Interests: Kukris, British P'88, '03 & '07 bayonets, Boer War, firearms in general. 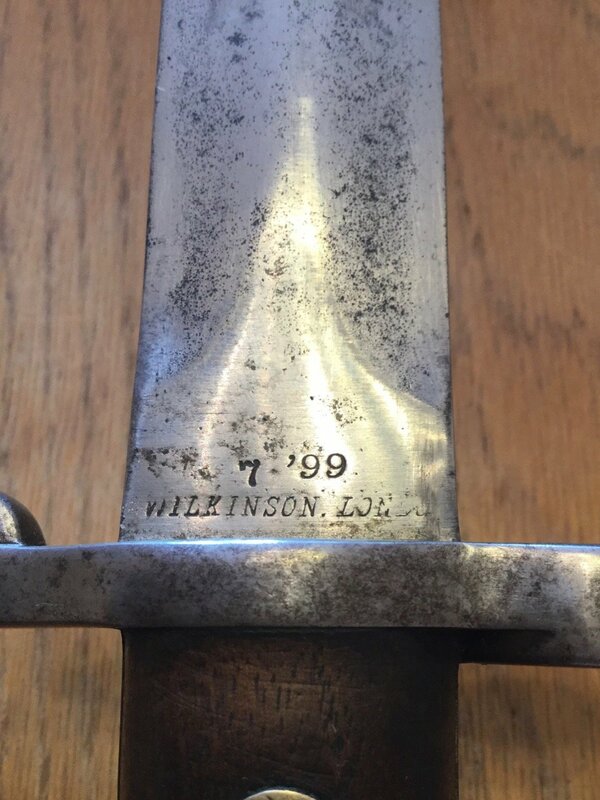 This is the second of the two bayonets acquired over the weekend: 1899 Wilkinson P1888. Reverse of ricasso: : broad arrow, bend test, illegible inspector's mark (?). 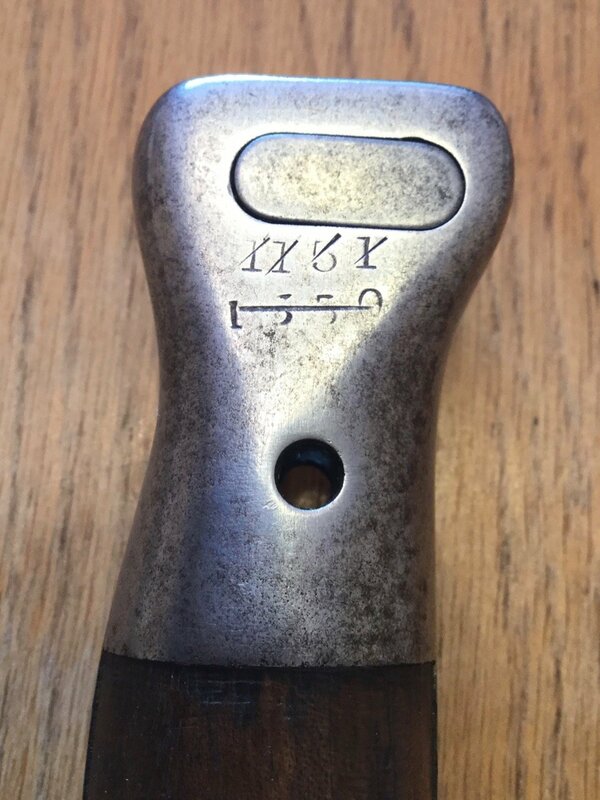 Pommel two neatly-applied and subsequently struck-through rack numbers. No unit marking I can understand, but no crown VR? A very reasonable MK 2, nice to see the inspectors stamp on the grip (bottom pic). Not unusual to see the V.R. and crown polished out on these old timers, very good condition being as though nearly 120 years old. Dave is correct. 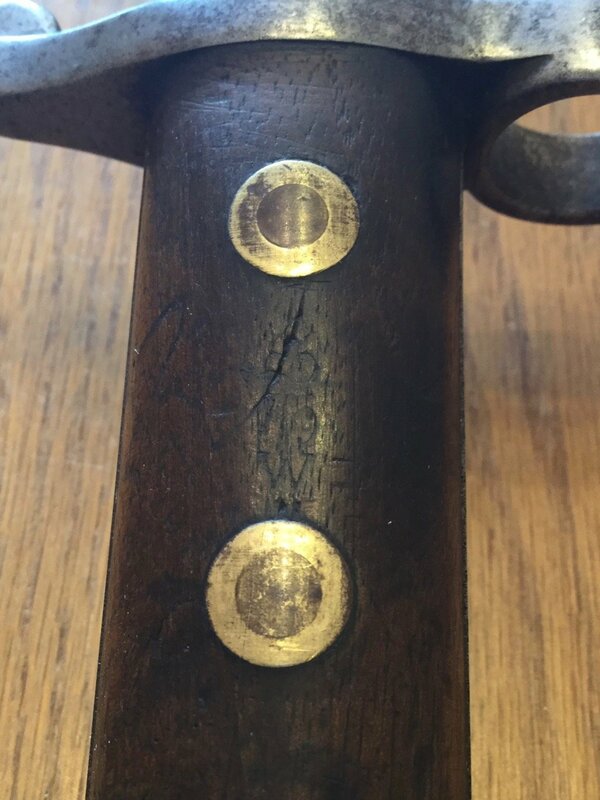 For some reason the crown and VR marks were very lightly stamped on these P.1888's and so often disappear or become barely visible with polishing. 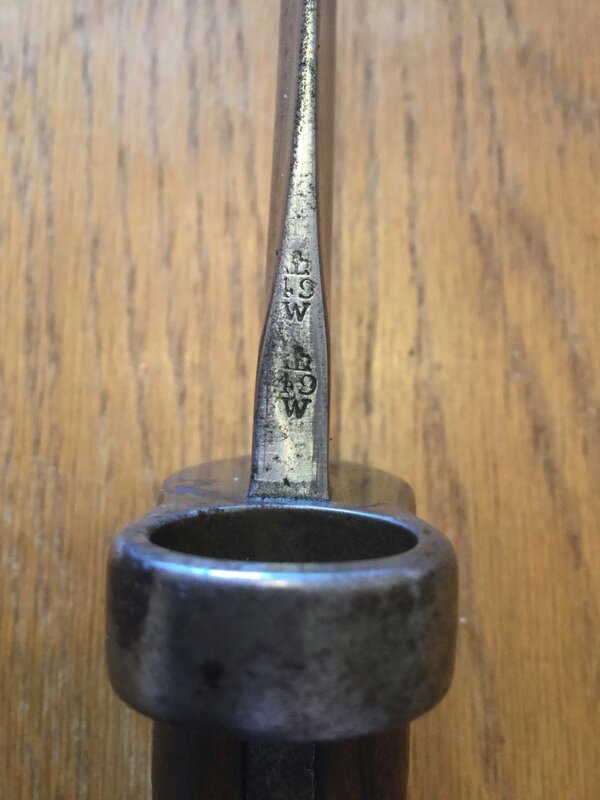 Note how the Wilkinson inspector's stamp on the right side below the 'WD' arrow has almost gone also. 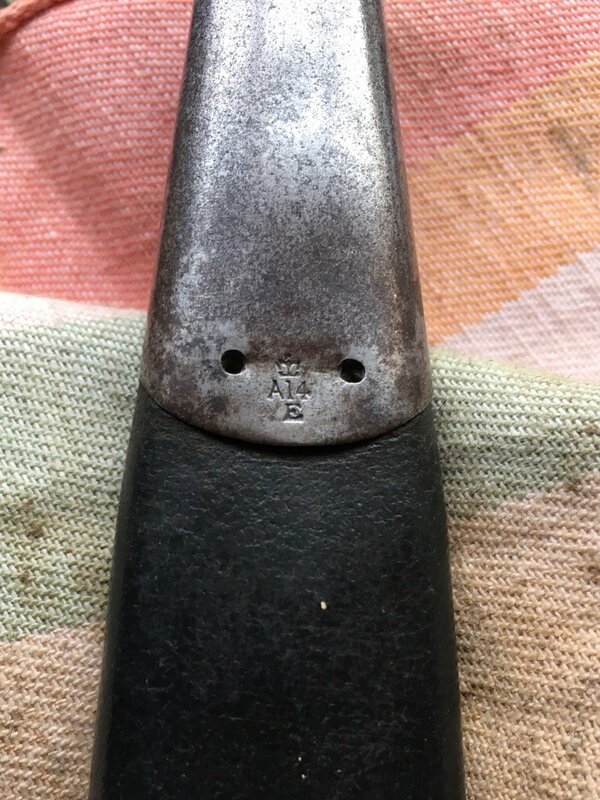 This issue of markings that are polished away, prompts the question of what abrasive was used by the army? Possibly the same was used by the RAF, as their P.07’s are also often polished to a high sheen. 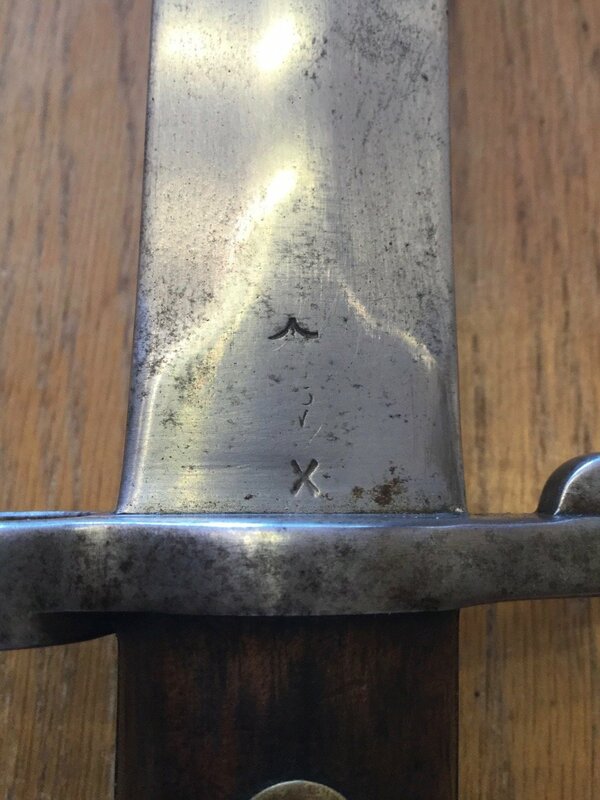 Given their period - were P1888s which were supplied from the trade to Volunteer Battalions and later (post 1908) Territorial Battalions (who financed their own equipment to some extent) actually marked with a crown/cypher? I have some recollection of reading that some were not? I am reasonably certain at least one of mine is not marked and is in the sort of condition that leads me to believe it never was - but I would need to dig it out to check. 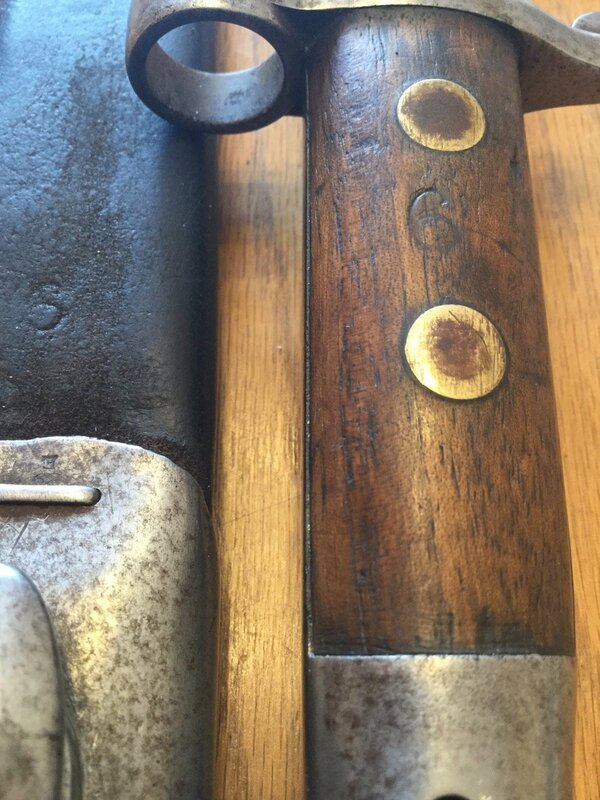 I have a P. 1903 that matches the description of your P. ‘88 very well. The left ricasso is TOTALLY clean of any markings, while the right ricasso bears only crown/ 49/ W and the Wilkinson, London stamp. No sign of the Broad arrow, WD or the X bending proof. I had assumed this also to be a Volunteer bayonet, until I noted the Indo-Persian style script on both tangs.